Information supplied by ‘Ethiopia: The Bradt Travel Guide’ by Philip Briggs. CLICK HERE to find the latest edition and browse other related items. Most tourists see Ethiopia for the first time by travelling on what is generally known as the Historic Route, and indeed many of them assume that this is Ethiopia in its entirety. Certainly the five-stop itinerary of this well-travelled tour gives fascination and interest aplenty. With the natural scenery of Bahir Dar and Lake Tana and its fascinating and colourful monasteries, the imposing castles of Gondar, the ancient monuments of Axum and the Tigray region, the unimaginable wonders of Lalibela’s rock-hewn churches, the memorable and daunting visions offered by the Simien Mountains, and the numerous and imposing sights of Mekele in the extreme north and Ethiopia’s capital city of Addis Ababa further south, the traveller will not want for interest and variety. Axum lies in the northern province of Tigre, the cradle of Ethiopian culture. Axum is the oldest city in Ethiopia (it was the ancient capital) and is the holiest city of the Ethiopian Orthodox Church. It is smaller than you might expect and rather inauspicious on first impression, but it does boast some stunning antiquities. In addition to Axum’s historical importance, visitors can enjoy a hassle-free atmosphere and can go about their business in virtual peace. The roots of modern Ethiopia lie in the Axumite Empire, though nobody knows for certain when Axum and its empire were founded. However there are few that would query that Axum was one of the most important and technologically advanced civilisations of its time, or that it was a major force in world trade between the 1st and 7th centuries AD. Some idea of Axum’s contemporary importance is given by the 3rd century Persian writer, Manni, who listed it as one of the four great kingdoms in the world, along with Persia, China and Rome. Ethiopians believe that the Ark of the Covenant is held at Axum, and though this may be questioned the town has retained its position as the centre of Ethiopian Christianity. There are flights to Axum from Addis Ababa, Gondar and Lalibela. There is no direct bus service from Gondar. The easiest way to travel by bus between these two towns is to take a bus leaving for Shire (marked on maps as Inda Selasie). The ride will take around 11 hours and will stop at Debark on the way, which is the base for climbing the Simien Mountains. Once at Shire there are regular buses to Axum and the journey takes around 2 hours. The best bet for budget travellers is probably the Bazen Hotel, where you get a very clean room with a double bed and access to a common hot shower. The Remhai Hotel and the Yeha Hotel serve Western food. For cheaper good food try the Africa Hotel (around birr 10-30). The Mini-Pastry next to the Kaleb Hotel has a pleasant courtyard and serves coffee, fruit juice and a breakfast of scrambled eggs mixed with vegetables served with bread rolls. A guided tour of the town takes several hours, and two days are required if you want to see everything of interest. But don’t forget to bring along your torch. The exemplary Axum Museum illustrates just how cosmopolitan and technologically advanced the city was. Here you can purchase a pass which will allow you access to all the historical sites in and within walking distance of the town over as many days as you need (except for the church compound). 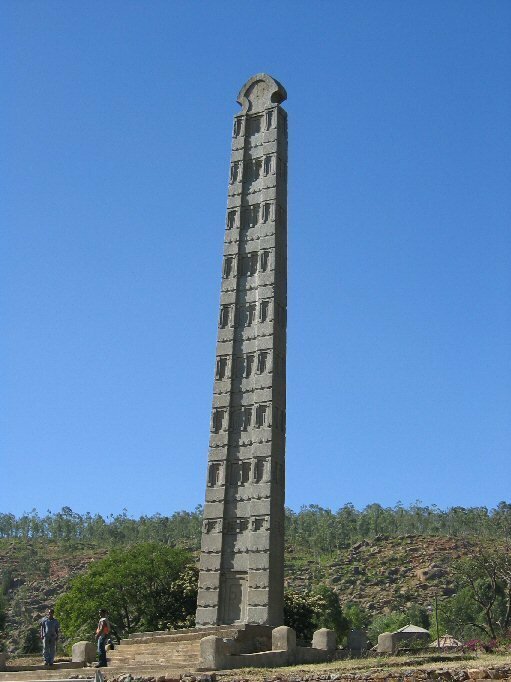 At the main stelae field it is possible to see the most impressive technological achievement of the Axumites, who erected several solid granite stelae, the largest of which (now collapsed) was taller even than the similar granite obelisks in Egypt. Next will probably come the St. Mary of Zion Church, inside which there are some good paintings and musical instruments (note women may not enter the church). The Ark of the Covenant is allegedly kept in a sanctified building within the compound of the church, though don’t expect to be able to see it! Other historical sites include Queen Sheba’s Swimming Pool and the Pantaleon Monastery. 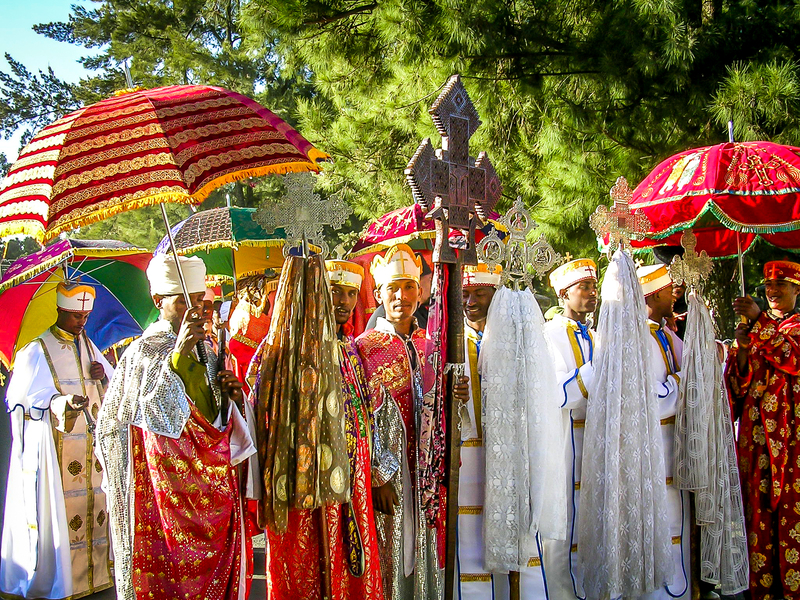 The monastery is situated on a euphorbia-clad hill known as Debre Katin, and boasts one of the oldest and most historically important churches in the country. Women may enter the monastery compound and see the various holy crosses and books, but the church itself is men only. Heading east from Axum, a daily bus leaves for Mekele, the capital of Tigre. You can also travel to Adigrat, Tigre’s second city, from where it is possible to find transport to Asmara (the capital of Eritrea). Adigrat is a bustling, friendly town, with strong links to Eritrea that give it a decidedly cosmopolitan feel. There is little in the way of sightseeing, but the distinctively Tigrean character of the town, not to mention its wonderful mountain setting, make it an easy place to settle in. 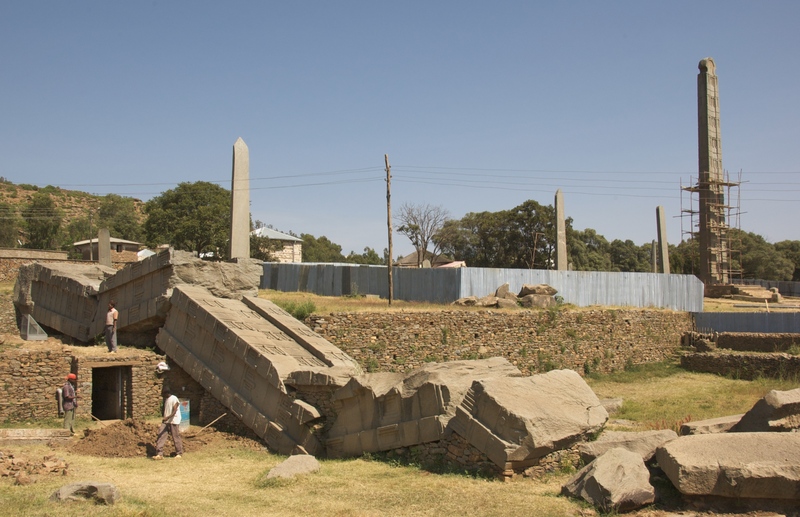 The non-stop journey from Axum to Adigrat will take around four hours, but there are several places of interest along the way, most notably the ruins at Yeha, the ancient clifftop monastery of Debre Damo (women are not allowed to enter), and the town of Adwa. Though Adwa is of limited interest to tourists, both the 150-year-old Inda Bedaniel Church and the more recent Adwa Selasie Church are worth a look (minibuses also zip between Axum and Adwa throughout the day). There are also flights between Axum and Addis Ababa, Gondar and Lalibela. Gondar is probably the most immediately impressive of Ethiopia’s major ex-capitals, but it is perhaps less enduringly memorable than either Axum or Lalibela. Gondar is one of Ethiopia’s largest cities, yet it has retained its friendly character and is generally considered to be one of the most welcoming towns on the ‘tourist route’. Much of the modern town centre dates from the Italian occupation of 1936-41, although in the last few years a number of bars and hotels have been built or refurbished. 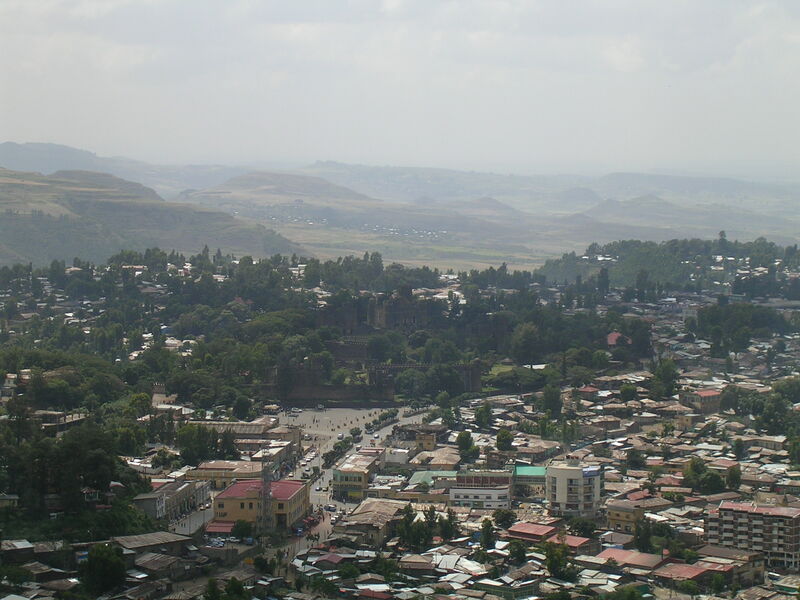 Gondar was founded in 1635 by Emperor Fasiledes. For several centuries Ethiopia had been ruled from a succession of temporary capitals and Fasiledes recognised that a permanent capital might help provide greater internal stability. By the time of Fasiledes’ death in 1667 Gondar was the largest and most important city in the empire. It retained its position as the capital of Ethiopia for 250 years, though this status was largely nominal from the late 18th century onwards. Ethiopian Airlines flies between Gondar and Addis Ababa, Bahir Dar, Axum and Lalibela. The airport is around 20 km out of town and there are taxis that shuttle to and from the town centre. The most straightforward way to get from Bahir Dar to Gondar is by bus, which will take around three hours. You can also catch a bus or minibus from Addis, which will take a very long day. Sky Bus and Selam Bus are generally considered the best options. From the north, the bus from Axum needs a day and a half as it must ascend the dramatic connecting road up onto the plateau, passing very close to the Simien Mountains. You will need to get a bus from Axum to Shire, and then from Shire to Gondar. Road transport from Lalibela is possible but difficult, with no obvious direct service. The Goha Hotel, once part of the government Ghion chain, is a couple of kilometres from the town centre on top of a hill. The great view over the town and above-average service make this one of the best hotels in northern Ethiopia. Single, double and en-suite rooms are available. Those on a budget could try the Fogera Hotel, which has a period Italian feel to it. The semi-detached villas have twin beds and en-suite hot showers. Alternatively, the Circle Hotel is both very comfortable and reasonably priced. There is the usual cluster of dollar-a-night dumps around the bus station. The Ethiopia Hotel, in the central Piassa, is where many backpackers stay, and probably the pick of the places in this range. The Goha is a nice place to head to watch the sunset with a meal of good quality. For the more price-conscious, the Fogera Hotel, Circle Hotel and L-Shape do good main meals. 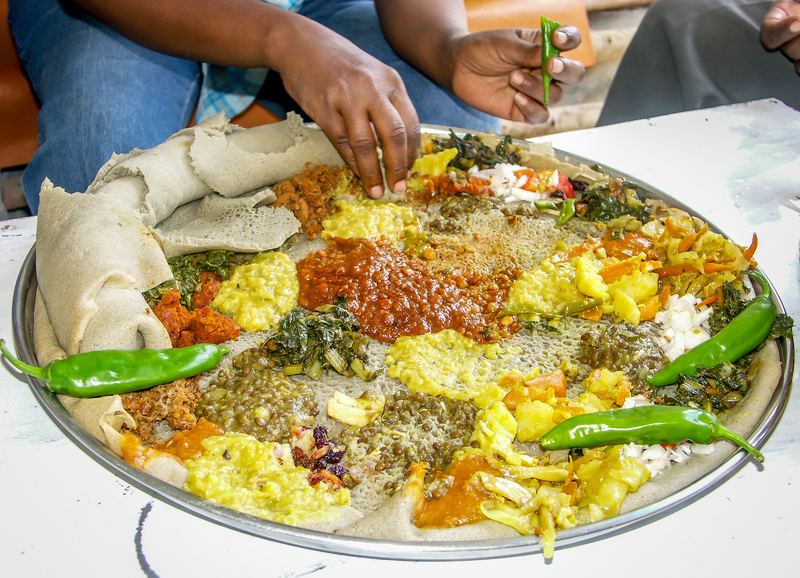 For Habesha food, the best bet is possibly Ras Bar and Restaurant, opposite Dashen House at the top of Piassa, where you will have your fill and be served with a smile. For slightly lighter meals or a drink, New Day (next to Ras Bar and Restaurant) and the Coffee House are probably the best value. Tele Cafe does reasonable food but may overcharge you. For fruit juice, there are many options. For a nice beer try Dashen House, Ethiopian Grocery (off Piassa), Helen Hotel (up by Fogera Hotel) or the Dashen brewery itself (between Gondar and Azezo) which is a little oasis of beer towers. Gondar is well known for its nightlife, with the greatest density of bars clustered in the backstreets behind the NTO. The Royal Enclosure lies at the heart of Gondar and gives the city much of its character. Containing five castles, and several smaller buildings, it is a fascinating place to explore. It may be worth hiring a guide as they are very knowledgeable. The most impressive castle, built by Fasiledes around 1640, shows a unique combination of Portuguese, Axumite and even Indian influences. About 2km out of town lies the large sunken Fasiledes bathing pool. The pool is still used for the Timkat Festival which takes place every January. Tickets cannot be bought at the pool itself but entrance is included in the price for visiting the Royal Enclosure (providing you visit both on the same day). The church of Debre Birhan Selassie, a half-hour walk out of town, is regarded by some experts to contain the finest art of its period anywhere in Ethiopia. The church is most famous for its roof which is decorated with a painting of 80 cherubic faces. Apparently Emperor Yohannis I intended to move the Ark of the Covenant here from Axum. Photography is permitted but useless without a flash or tripod. 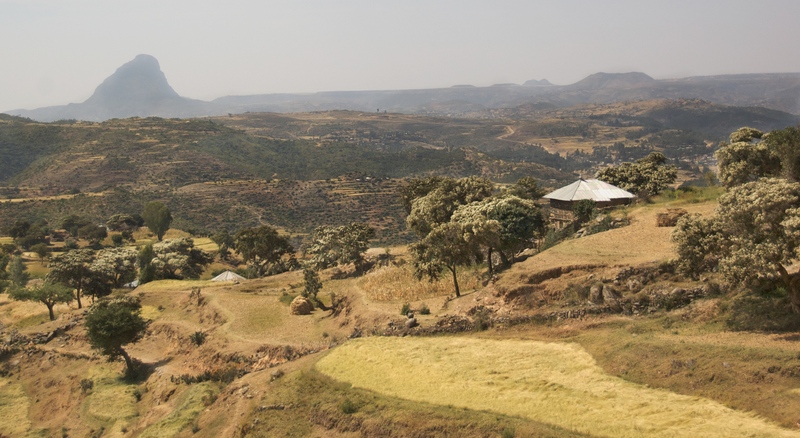 A short taxi ride out of Gondar is the falasha village of Woleka which was vacated by all but one of its falasha occupants during the last famine. One falasha woman remains but the village continues to make traditional pottery, and there’s an interesting temple. Realistically this is the only place in Ethiopia where you can check out something of the falasha tradition. Gondar is used as a base for the Simien Mountains. You can either organise a tour in Gondar or catch a bus to Debark – a journey of roughly 4 hours. You can fly or bus it to Addis Ababa, Bahir Dar, Axum or Lalibela. For the cheapest options you may have to head to the bus station at about half past four in the morning as many buses leave incredibly early and fill up quickly. 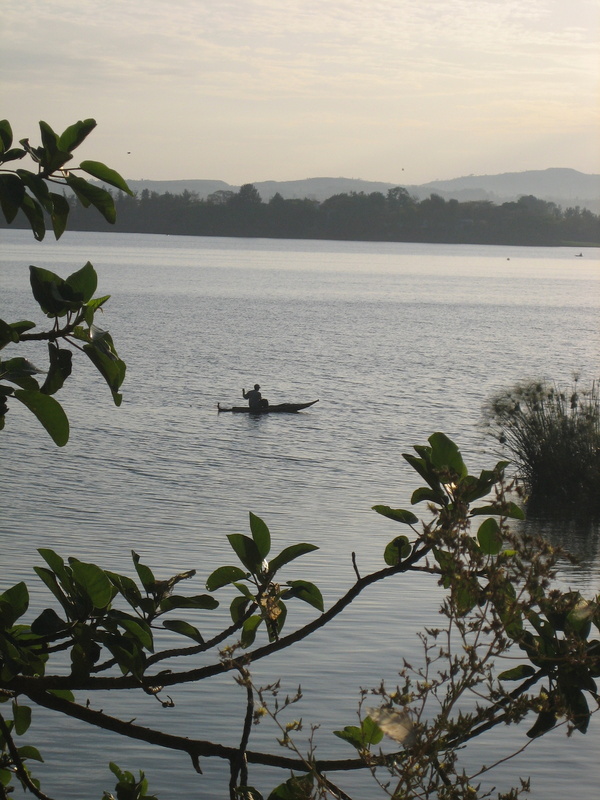 Slightly closer to Gondar is Gorgora, on the northern shore of Lake Tana, which can also easily be reached by bus. Gorgora is dominated by the leafy Marine Authority compound, which birdwatchers will find rewarding to explore. 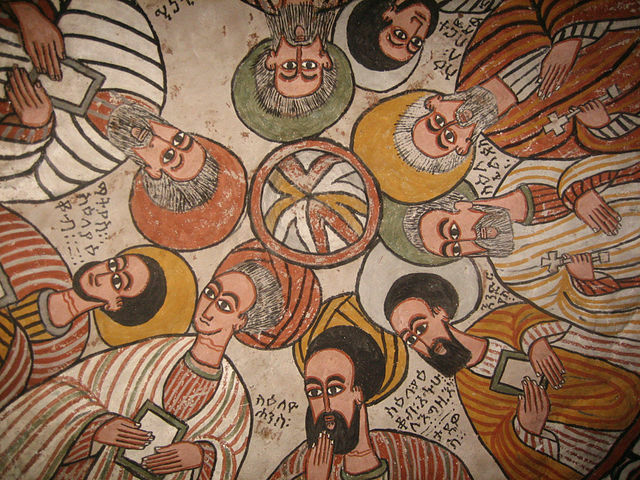 Also visit the Debre Sina Maryam Church. Perched at an altitude of 2630m, among the wild craggy mountains of Lasta and vast rocky escarpments, there is a stark cathedral-like grandeur to Lalibela, a strange, isolated town famed for its rock-hewn churches. Lalibela is arguably the one place in Ethiopia that no tourist should miss. Were it virtually anywhere but in Ethiopia, Lalibela would rightly be celebrated as one of the wonders of the world. 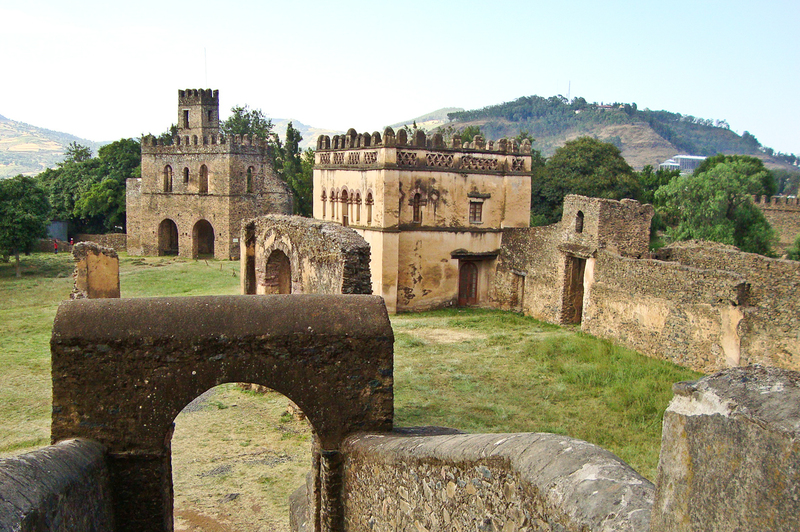 Roha, as the town was known at the time, was the capital of the Zagwe Dynasty which ruled over Ethiopia from the 10th century to the mid-13th century. Its modern name, Lalibela, derives from the most famous of the Zagwe rulers, the 12th-century King Lalibela. There are now daily flights to Lalibela from Addis Ababa, Gondar, Bahir Dar and Axum throughout the year. By road there are three approaches to Lalibela, the most popular and easiest of which is the rough 120km road from Woldia, a trip that can take between four to six hours. This road is covered by daily buses and land cruisers. 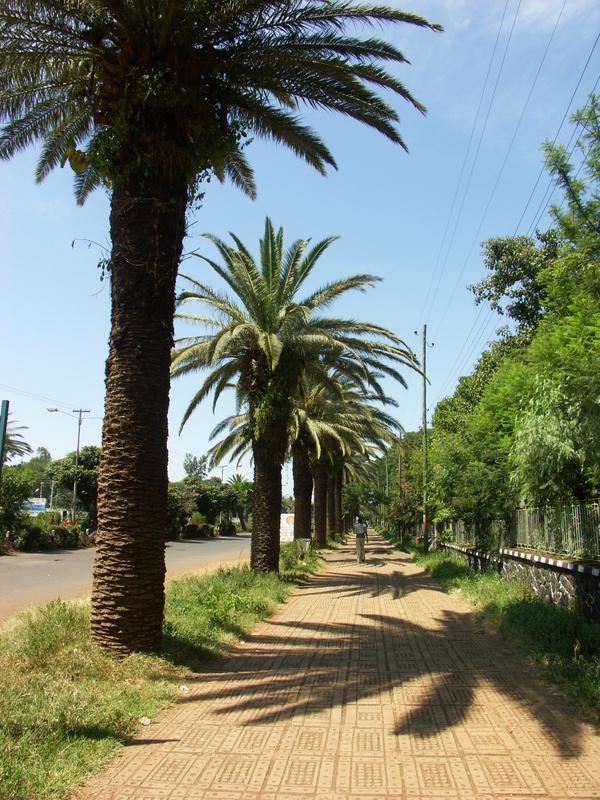 The second route is from the west, branching from the main road between Bahir Dar and Gondar at a place called Werota. From Bahir Dar and Gondar you can reach Debre Tabor in a day, then the next day catch a bus to Dilb, and the following day join a vehicle heading from Woldia to Lalibela. The third route approaches from the north along the road that connects Axum to Lalibela via Adwa, Abi Aday and Sekota. Without a private vehicle you may find it difficult to complete the 130km strtch between Sekota and Laibela. The most upmarket hotel in Lalibela is the Roha Hotel, part of the government Ghion chain and excellent in almost every respect, with the sole reservation that it’s about 2km out of town and thus 2km from the churches. Slightly cheaper than the Roha is the Jerusalem or Lasta Hotel (formerly the New Jerusalem Guesthouse), which has huge en-suite rooms with hot water. A popular budget hotel in Lalibela is the Private Roha Hotel with, genuinely hot, shared showers. There are a few places charging around US$2 for a basic single. The Kedemt Hotel is by some way the best of these places, with a friendly owner and clean communal showers. Without doubt, the best place to eat is the Blue Lal Restaurant, run by an Ethiopian woman who lived in France for a decade. Excellent local dishes are very cheap, and western dishes can be arranged in advance. The restaurant at the Lal Hotel is good and does Western food. If you want to try the ‘heavenly’ tej (honey wine) for which Lalibela is justly famed, try the Helen Hotel which also serves good local food and sometimes has live music. For coffee and possibly a pastry or two try Shalom Snack. People visit Lalibela for the churches. And, no matter if you have visited other rock-hewn churches in Ethiopia, nothing will prepare you for these. The Lalibela churches are big – several are in excess of 10m high – and, because they are carved below ground level, they are ringed by trenches and courtyards, the sides of which are carved into with stone graves and hermit cells, and connected to each other by a tangled maze of tunnels and passages. In size and scope, the church complex feels like a subterranean village. Yet each individual church is unique in shape and size, precisely carved and minutely decorated. Lalibela is, in a word, awesome. 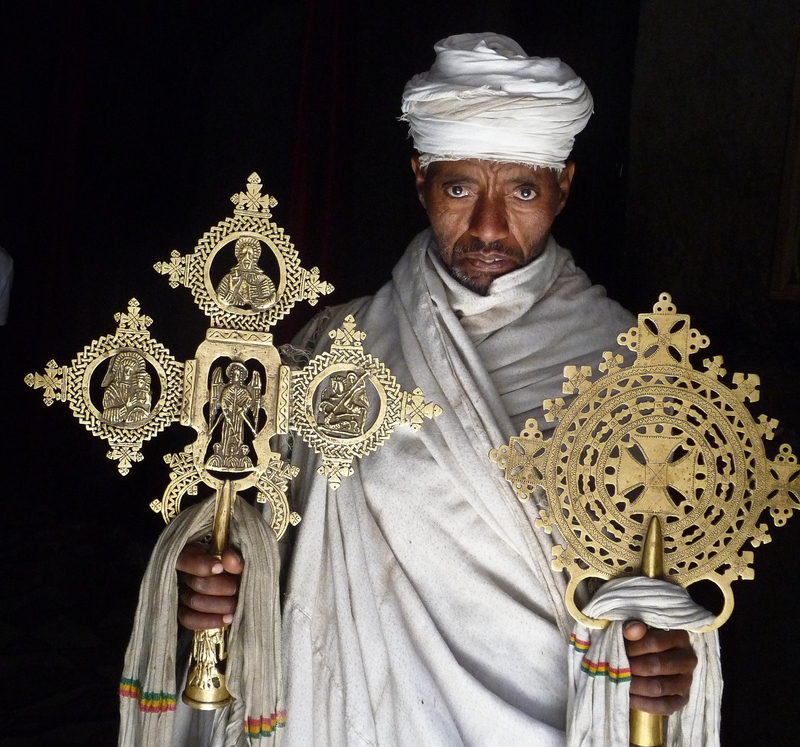 It is in the church Bet Medhane Alem, in the northwestern cluster of churches, that you will find the 800-year-old Lalibela Cross, which is made of solid gold and reportedly weighs around 7kg. It is said to have been the personal property of King Lalibela, and is perhaps the most treasured artefact of the Ethiopian church, more holy than anything in Jerusalem or Rome. It is advisable to get a guide to show you around. The official ones are generally very knowledgeable and informative and as they know all the priests so you’ll be spared the hassle of having to raise the priest who keeps the key for each church. But negotiate a fair rate in advance. Please note that there are no internet or reliable foreign currency exchange opportunities in Lalibela. It’s best to bring as much local currency as you’re likely to need. 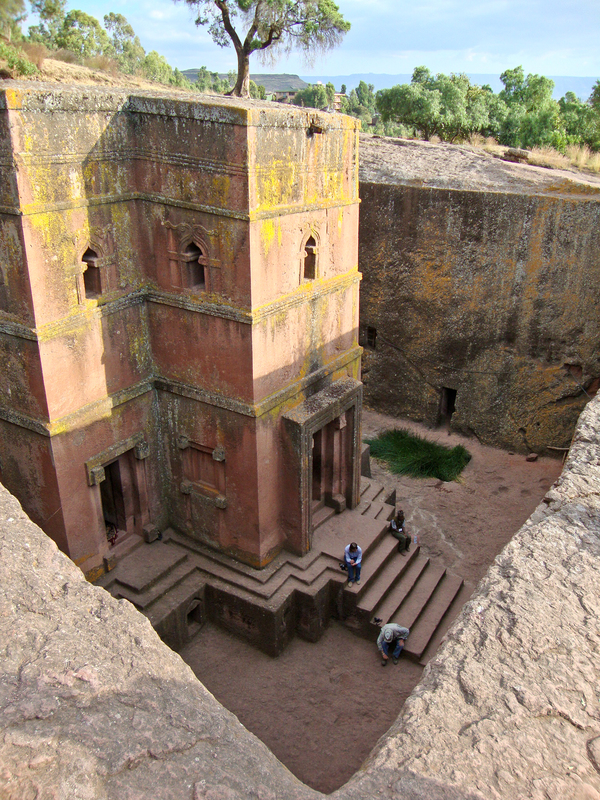 There are several rock-hewn churches within hiking distance of Lalibela. The easiest to get to is Nakuta La’ab, 8km away from Lalibela. One advantage over the other churches in town is that the treasures are brought out into the open where they can be examined in decent light. You can get a taxi there, organise a mule or enjoy the walk. There is not a huge amount to see in the other main towns in the Wolo province including Dessie, Woldia, Kombolcha. Dessie, however, is the obvious base from which to explore Hayk and Makdala Mountain. Ringed by hills and fringed by large papyrus beds, Lake Hayk’s deep blue waters are very attractive. The surrounding area is good for birds but the greatest point of interest in the area is Hayk Istafanos, a small male-only monastery steeped in history. The scenery along the ascent to the 3000m peak of Makdala Mountain is wonderful, and the fortifications erected by Tewodros are still in place. Note that Ethiopian Airlines does not fly between Dessie and Lalibela. If you wish to travel further afield then you can take flights out from Lalibela to Addis, Axum, Bahir Dar and Gondar. Bahir Dar is a large town on the southern shore of Lake Tana, Ethiopia’s largest lake. Palm-lined avenues and pretty lakeside vistas make Bahir Dar a decidedly attractive town and it is also the base for visits to Tis Abay and Lake Tana’s many monasteries. With tourist amenities that are among the best in the country, Bahir Dar is an excellent place to settle in for a few days. Ethiopian Airlines flies to Bahir Dar from Addis Ababa at least twice daily, and to Gondar, Lalibela and Axum at least once daily. At the airport you’ll have to get a taxi into town. From Gondar to Bahir Dar the bus journey takes six hours. Buy your tickets a day in advance. From Addis to Bahir Dar the bus journey involves an overnight stop, usually at a small village. The Walia bus is reportedly the most comfortable and reliable. A more effcient option is the recently introduced minibus service, which completes the journey from Addis to Bahir Dar in one full day. The government Tana Hotel lies on the lake shore a couple of kilometres out of town. Its grounds are thickly wooded and home to a rich variety of birds. The Tana has hot water for a few hours in the morning and evening only. There are numerous cheaper hotels in Bahir Dar. The best is probably the friendly Tana Pension, situated above a good pastry shop and restaurant along the main north-south road near the bus station. Clean single rooms with large beds, balcony and access to good communal showers. There is reasonable western food at all the tourist-class hotels. The Ghion Hotel has a good, varied menu in a pleasant setting. The Enkutatash Restaurant, which lies behind the telecommunications building, does a wide variety of food at decent prices. Try the fish cutlet! For good Ethiopian food try the Tana Restaurant, above the Tana Pastry and below the Tana Pension or the new Bahir Dar Pension, which is also a nice place to hang out on Saturday and Sunday nights. For pastry shops, the excellent new Cloud Nine Pastry (below the Tsehay Pension), Central Pastry (opposite the bus station) and Mugera Pastry (next to Ethiopian Airlines) are recommended. To reach the source of the Blue Nile, which rises from Lake Tana on the outskirts of Bahir Dar, you can either walk or hire a bicycle, or take a local minibus to about 1km past the Blue Nile Springs Hotel, where a large bridge crosses the river. The wide river provides ideal conditions for hippos and crocodiles, both of which are occasionally seen from the bridge. You can also visit a palace built for Haile Selassie on top of a hill. 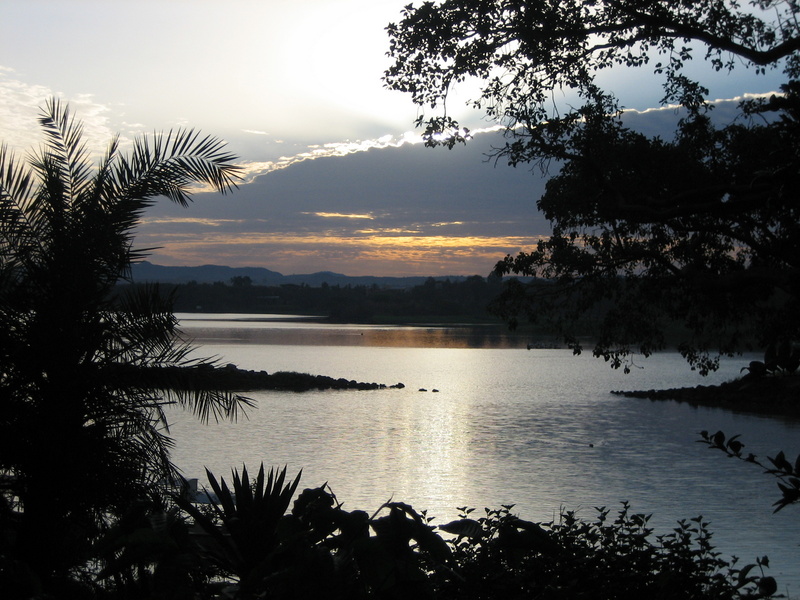 Although entrance to, and photography of, the palace are forbidden, the hill offers excellent views over the town and Lake Tana. The market in Bahir Dar is also worth a visit, and a good place to buy furry injera baskets. 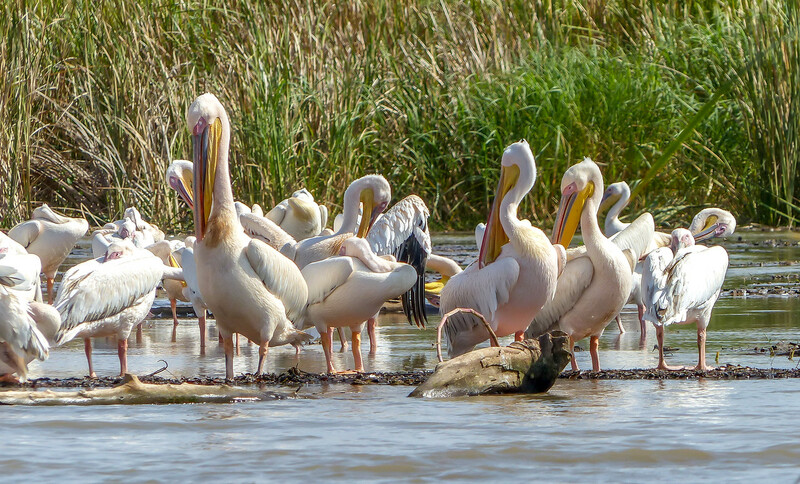 Also try the pleasant walk to the fish market on the lake shore where you will also see a great many papyrus tankwa boats and often large numbers of pelicans. About 30km after it exits Lake Tana, the Blue Nile plunges over a 45m high rock face to form one of Africa’s most spectacular waterfalls, Tis Abay (‘Smoke of the Nile’) or Tis Isat (‘Water that Smokes’). Tis Abay is impressive for the sheer volume of water that pours over it, particularly during the rainy season. However, the recent installation of a hydro-electric plant that diverts around 95% of the water when it is operating means that the waterfall is not always running. Most official guides in Bahir Dar are honest about the situation, so ask them when the best time to go is. The most straightforward way of visiting the waterfall is to organise a half-day excursion with a reputable tour operator. It is also very easy to visit the waterfall independently. Buses run daily between Bahir Dar and the village of Tis Abay and the trip takes about an hour. Once at the village you’ll need to visit the ticket office and pay an entrance fee. You’re not obliged to hire a guide, but the alternative may be that a whole cluster of kids follow you asking for money. It’s a 30 minute walk from the village to the main viewpoint over the waterfall. Most people visit Tis Abay as a day trip from Bahir Dar, but there are a couple of basic hotels in the village should you want to spend the night there. A more attractive option may be to camp by the waterfall. You can camp freely anywhere in the area, though you are advised to bring all your food with you from Bahir Dar. You might also want to organise a guard at the police station. You can catch a weekly ferry to Gorgora (near Gondar). Gorgora is dominated by the leafy Marine Authority compound, which birdwatchers will find rewarding to explore. Zege is a picturesque village where you could easily spend a few cheap and relaxed days rusticating and exploring the surrounding the area. Further information can be found in the Lake Tana section. If you wish to travel further afield there are flights from Bahir Dar to Addis, Gondar, Lalibela and Axum. Lake Tana is the largest lake in Ethiopia and it is also the source of the Blue Nile, a fact that may explain many of Ethiopia’s links with the ancient world. Even today the papyrus tankwa that sail the lake bare a striking resemblance to the boats of Ancient Egypt. The main tourist centre for the Tana area is Bahir Dar, which lies on the southern shore. The only other significant settlement is Gorgora, on the northern shore. The Tana area is the traditional home of the Amhara, a Christian people. However Tana was also the homeland of the falashas who practised a form of Judaism that appears to have severed from the Jewish mainstream before 650BC. There are now few, if any, falasha people left in the Tana region: after centuries of persecution most of them were airlifted to Israel in 1991. Between the collapse of the Zagwe Dynasty in the late 13th century and the establishment of Gondar as a permanent capital in the early 17th century, Tana was the political and spiritual focus of the Christian Empire. Several temporary capitals were established on or near its shores. Gorgora dates to this period, as do many of the island monasteries that dot Lake Tana. 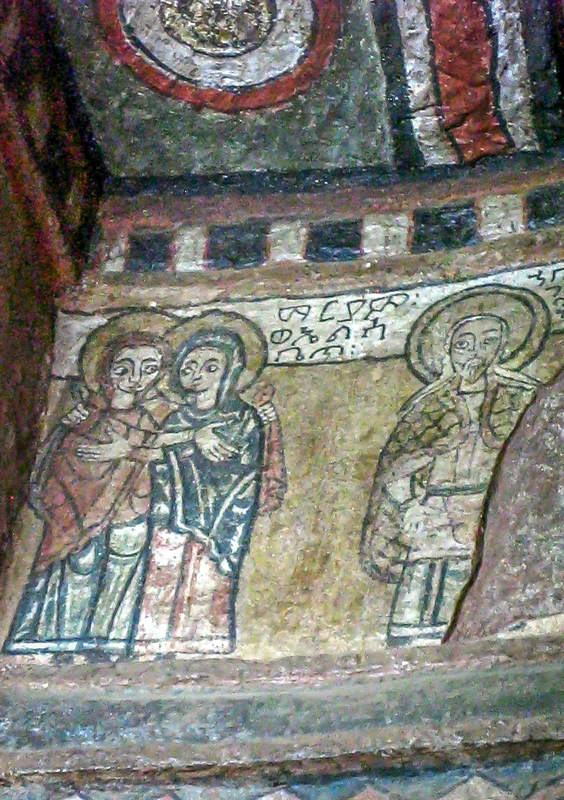 An exception is the monastery at Tana Chirkos, which appears to have been a spiritual retreat long before Christianity was established in Ethiopia. For information on how to get to Bahir Dar see the Bahir Dar section. The ‘island monastery’ (it is actually on a peninsula) of Ura Kidhane Mihret is possibly the most beautiful monastery anywhere in the Tana region. The daily Bahir Dar – Zege ferry has finally opened to foreigners, terminating at a jetty about 10 minutes walk from the monastery itself. The quickest way is a charter boat – prices negotiable depending on group size and season. It is also quite easy to visit via a recently renovated road from Bahir Dar by public transport, private vehicle or bike. Unlike Zege the true island monasteries can genuinely be visited by special arrangement only. This means either chartering the Marine Authority’s ‘tourist boat’ or else making arrangements to use a private boat. Some private companies will arrange full-day trips. Be warned, however, that they may well take you to monasteries that women can’t enter, and they’re unlikely to divulge the information beforehand unless you specifically ask them. If you wish to spend the night in Zege, the Yebiste Erko Hotel is a thoroughly decent dollar-a-night place, with basic but clean rooms and bucket showers. The restaurant serves tea, cold drinks, and basic meals like shiro wot and fried eggs. The spectacular Tis Abay (Blue Nile Falls) should not be missed. Further information can be found in the Bahir Dar section. There are several monasteries on Lake Tana’s islands. The closest monastery to Bahir Dar is Kibran Gebriel, which lies on a tiny, lushly wooded crescent – presumably part of the rim of an extinct volcano. 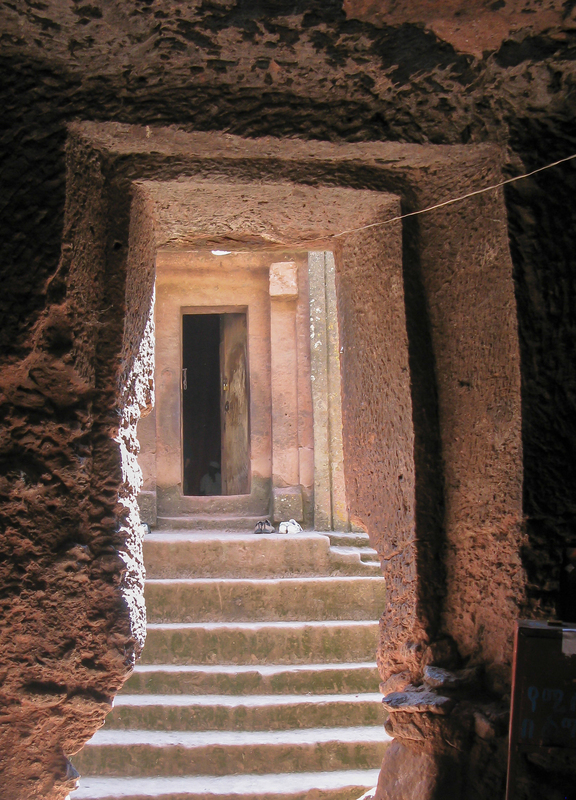 The island monastery of Daga Istafanos is the most interesting of those within easy reach of Bahir Dar. Although the church itself is relatively new it houses a 15th century Madonna painting. 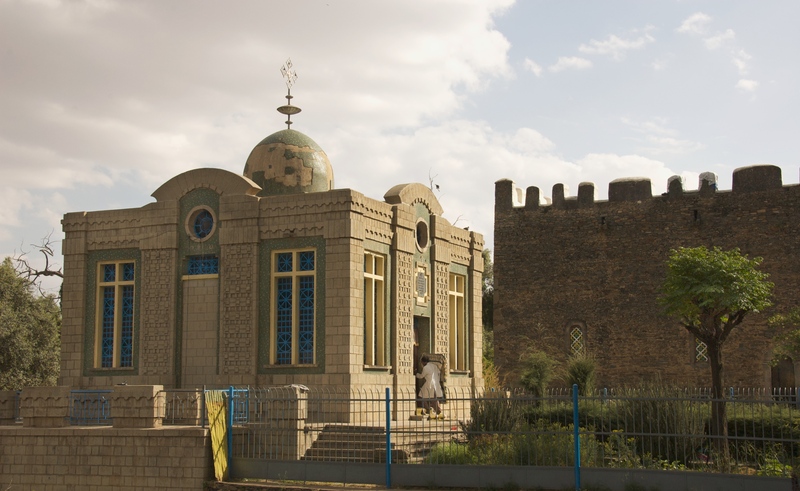 The main point of interest is the mausoleum which contains the glass coffins that hold the mummified remains of five Ethiopian emperors, including King Fasiledes who founded Gondar as his capital. One of the more remote and intriguing of Tana’s monasteries is Tana Chirkos, which lies on a densely-covered island near the eastern shore. Apparently the priests on Tana Chirkos have an ancient tradition that the Ark of the Covenant was kept here for 800 years before it was removed to Axum in the 4th century AD. As this monastery is so remote the round trip takes a full day. 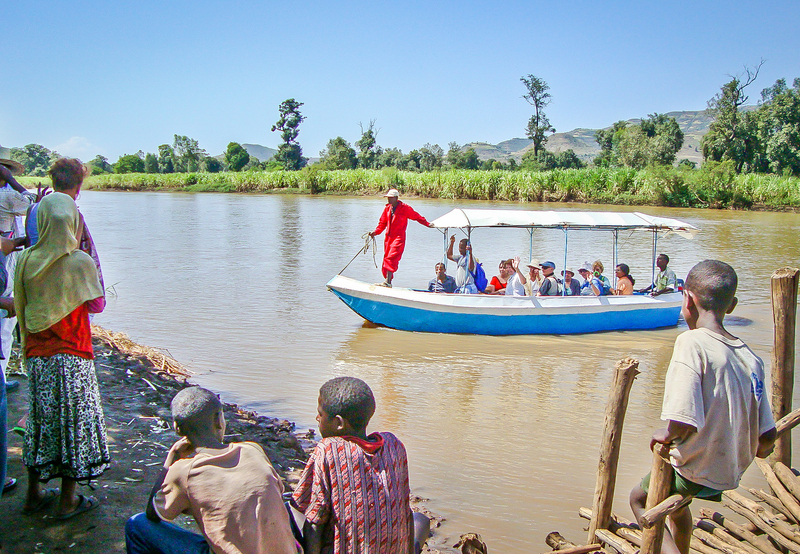 A weekly ferry crosses between Lake Tana and Gorgora. This two-day journey, which involves an overnight stop in Konzula, provides a pleasant and somewhat romantic alternative to the inside of a bus. When you arrive in Konzula make it a priority to find a room as they will run out very quickly. You won’t get food or drink on the ferry so it is advisable to take some with you. In Gorgora the government-owned Gorgora Hotel, which lies on the shore of the lake, has spacious and attractive rooms with private showers and toilets. The restaurant is excellent and affordable. The Simien range lies north of Gondar and to the east of the main road to Axum. The western side of the range has been designated the Simien Mountains National Park. The Simien range is one of Africa’s largest mountain ranges: many of its peaks rise above 4,000m and Mount Ras Dashen (4,620m) is the highest point in Ethiopia and the fourth highest peak in Africa. Most parts of the Simiens are inaccessible to vehicles, but the range is crossed by a number of tracks used by the local people, which make ideal walking routes. Combined with the impressive scenery, this makes the Simiens an excellent area for trekking. The Simien range consists of several major plateaux, divided by large river valleys. The western plateau is bounded on the north and east by a massive escarpment, many kilometres long and over 1,000m high in places, and cut along its length by steep gorges. The views from the top of the escarpment look north over the vast plains to Eritrea. At their foot are the remains of ancient hills. Three of Ethiopia’s endemic large mammals live in the Simiens. The gelada baboon is the most common of these, with an estimated 20,000 individuals living in troops of up to 400. The range of the walia ibex is restricted entirely to the Simiens. The Simien fox is now very rare in the mountains, with a population of only around 100. You may also see the jackal, which haunt the camps. The number of birds recorded in the Simiens is very low and endemics are not that well represented. 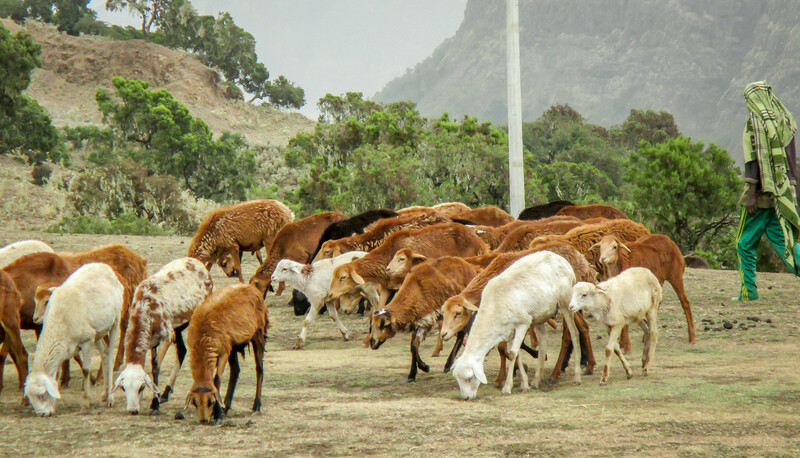 Debark, 90km north of Gondar, is the base for hiking into the Simien Mountains. From Gondar, catch a bus to Debark and the journey will take three to four hours. Alternatively you can hire a taxi in which case the journey will take roughly two hours. From Axum catch a bus to Shire (marked on maps as Inda Selasie), and spend the night there before catching the morning bus to Gondar, which will drop you in Debark. If you have a 4×4 you can drive into the mountains as far as Sankaber. In Debark the relatively smart and clean Simien Park Hotel with communal showers. There is no organised accommodation on the mountain. You can either be completely self-contained with tent and camping equipment, including sleeping bag, stove and cooking gear; or else you can lodge with local people in the villages. Most local people are happy to make space in their hut for a visitor and it provides a bit of extra income (you should pay around birr 10 or less a night) though conditions will be very basic. Your guide will find you a hut to stay in if you take this option. Debark is the obvious place to organise a hike, but you can also do so from Gondar. In Gondar someone will approach you offering to set up a hike and they will advise you on the equipment, route, food and so on. They will ring your requirements through to Debark and will arrange for someone to meet your bus. As you do not pay until you get to Debark there is little risk involved. 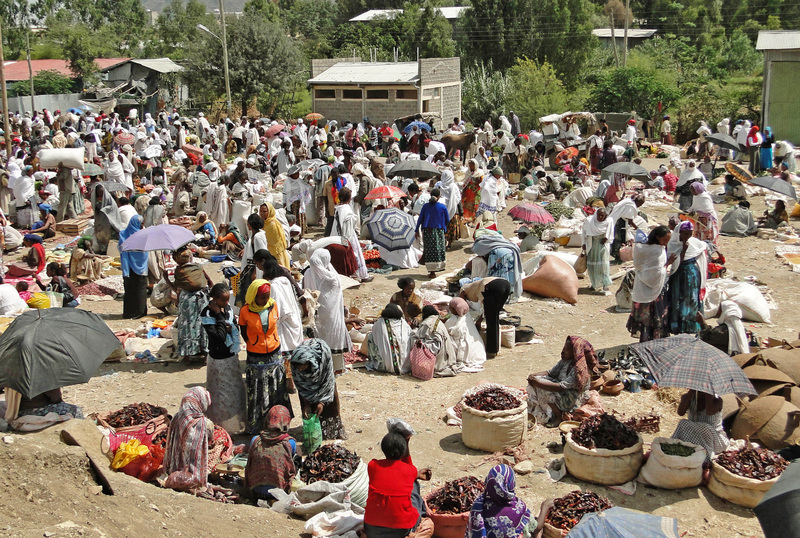 If you do not arrange things in Gondar, or you are coming from Axum, then you will need to set yourself up in Debark. If an official guide does not approach you, head to the National Park Office. Supplies. 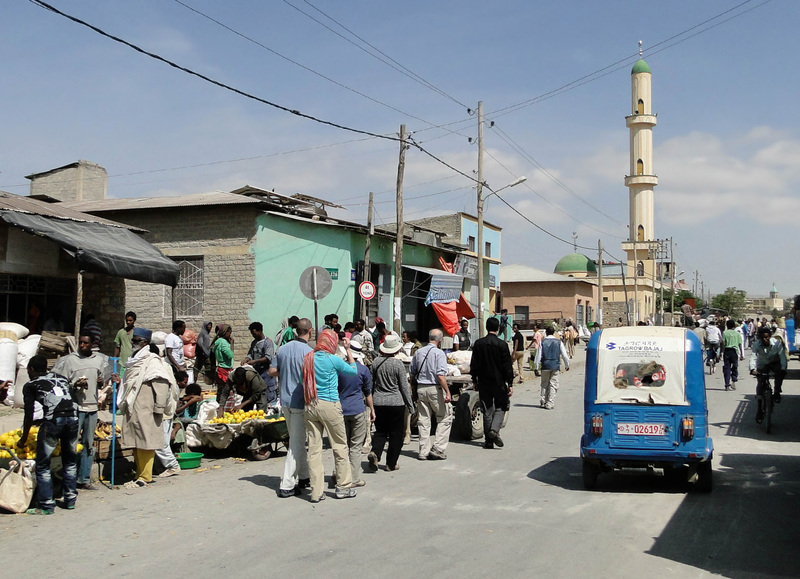 Debark has a few shops and stalls where you can buy vegetables and a few other basic items. In Gondar there are several shops with reasonable stocks of foodstuffs. If you don’t have all the trekking equipment you need you can rent most of it in Debark. Guides and Rangers. Park rules stipulate that all visitors must be accompanied by an armed ranger (commanding a moderate fee). After years of civil war, some parts of the Simien range are still a bit lawless and it is reassuring to have a ranger with you. Whilst the scout is meant to be self-sufficient for food, he’ll probably run out after a few days so consider buying extra rice and salt to give him halfway through the trek. It is advisable, but not obligatory, to trek with a local guide. Mules. Porters are not available and it is usual to take mules as pack animals. Carrying all your own food and gear is not recommended, unless you’re used to backpacking, as distances are long and routes undulating. The scout and guide will expect you to hire at least one mule to carry their food and blankets. Before hiring a mule, make sure it’s in good condition. If it has a limp do not hire it, and insist the mule has a blanket under the saddle for padding. With the mule you must hire a driver. Most trekking routes take you through small villages and terraced fields in the lower valleys, before reaching a series of dramatic cliffs and escarpments. Beyond the escarpments you reach the beautiful alpine meadows and the rugged wilderness of the high peak areas. You have several route options, depending on the time you have and the distance you want to cover (some spend ten days trekking, but most people take a shorter trek). Your route is also determined by the places where you can sleep the night and find water. Most visitors stay near the National Park camps (at Sankaber, Geech and Chenek) as they are spaced around a day’s walk apart and have a good water supply. You should not underestimate the effects of altitude when planning your route. Make sure you have had time to acclimatise. If the prospect of setting up your own trip seems a little daunting you can set up an organised trek through a tour operator in Addis Ababa. Mekele is the capital of Tigray and one of the largest towns in Ethiopia. It is the smartest and arguably the most rapidly developing town in the country. Mekele is a likeable place, with good facilities and the welcoming air that is so typical of Tigray, and although it lacks bona fide tourist attractions, it would be just about the perfect place to break for a day between long bus trips or rest up after a few days hiking in Gheralta. 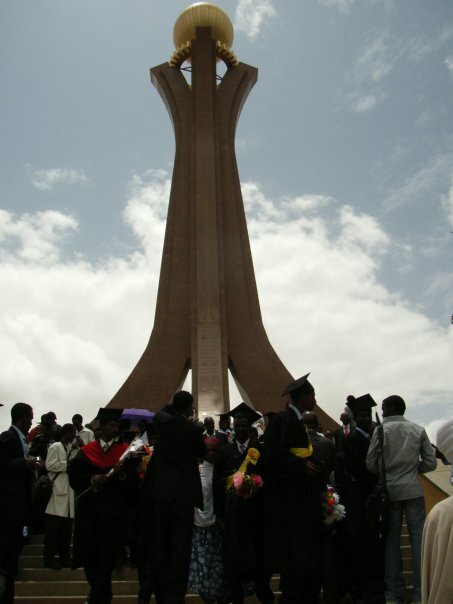 Mekele owes its historical importance to the Emperor Yohannes IV, who made it his capital in the late 19th century. You can fly to Mekele daily from Addis Ababa, and most days from Axum, Gondar, Lalibela and Bahir Dar with Ethiopian Airlines. By road you can travel between Addis Ababa and Mekele in under two days. Early morning buses run daily in both directions between Mekele and Adigrat, Axum and Asmara (in Eritrea) to the north, and Woldia and Dessie to the south. Dropping a bit in price, the Seti Hotel is centrally located, with en-suites with hot water and TVs, using a communal cold shower. The Yordanos Restaurant at the southern send of the Alula Road serves both Ethiopian and Italian dishes in small tukuls (huts), with a great atmosphere. The Rendezvous Restaurant has been for some years the outstanding local eatery. It does the standard Ethiopian fare boosted by outstanding roast lamb. For pastry shops, Dehab Pastry and Lateria Café are recommended. Certainly worth a look is the large market, where you are most likely to see camel-borne salt-traders recently arrived from the Danakil Desert on Monday, the main market day. The Yohannes IV Museum is sited in the castle that two Frenchmen built for the emperor in 1873. It’s dominated by rather esoteric displays of royal paraphernalia, but the combination of the rooftop view and the photographic display of various rock-hewn churches justifies the nominal entrance fee. Mekele is lively at night, when the streets ring with the Tigrean music that emanates from the bars. The small village of Chelekot, 17 km south of Mekele, is known for its attractive green setting, and for the Selasie Chelekot Church, a circular construction that is one of the most beautiful churches in the country, and which is also rich in church treasures. 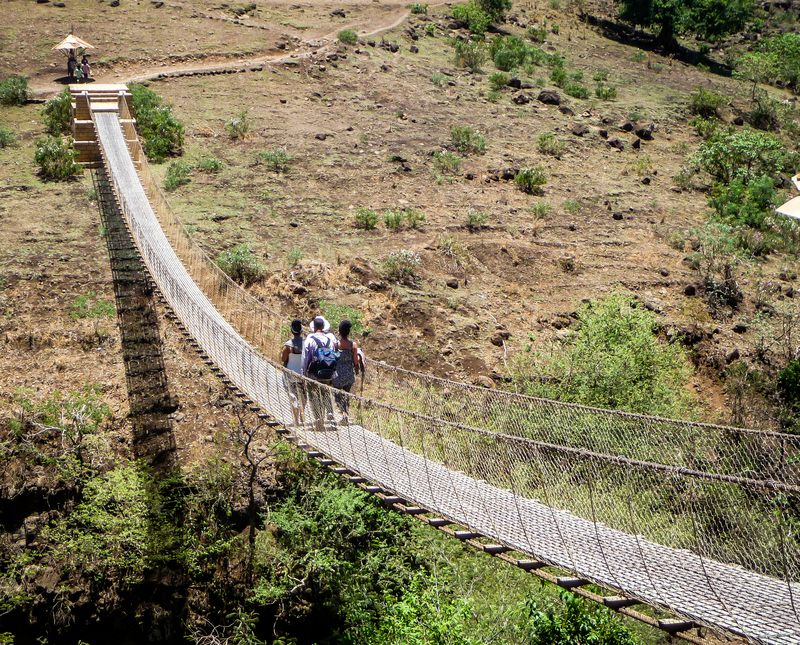 There’s no public transport to Chelekot, but it’s a recommended excursion if you have your own vehicle. The Tigray Tourist Bureau is well worth visiting for information and advice on sites in Tigray. Buses can be taken from Mekele to Axum, Adigrat (see Axum), and Asmara in the north and Woldia and Dessie in the south (see the Lalibela section). 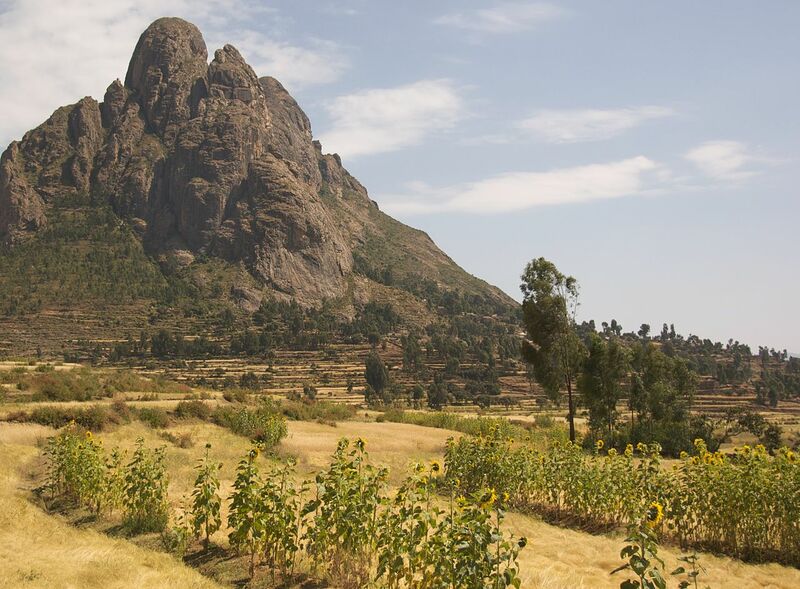 There are a number of places that you may consider visiting if you are journeying from Mekele to Woldia, including the Maychew area which is wonderfully green and hilly and has enormous potential for off-the-beaten-track hiking and rambling. A shorter distance away from Mekele is Wukro, and there is transport between the two towns throughout the day. 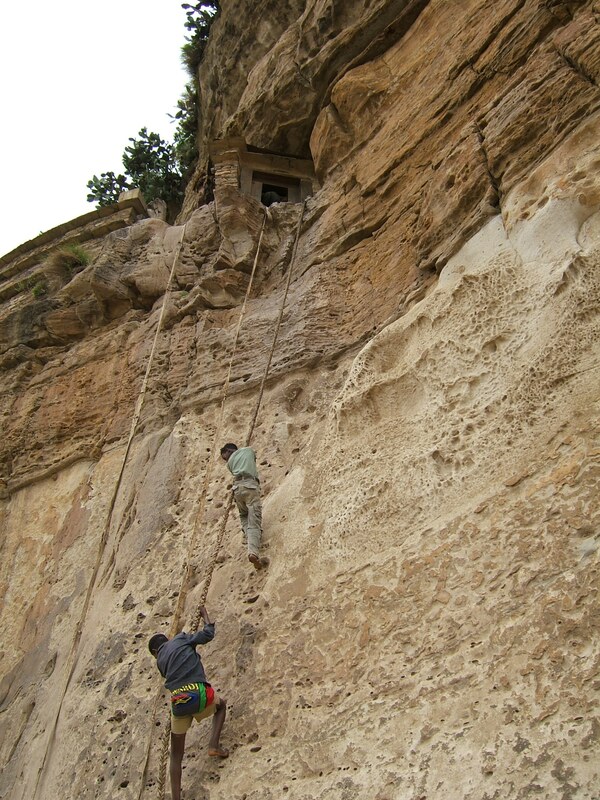 Wukro has its own fine rock-hewn church, Wukro Chirkos, which is the single most accessible rock-hewn church in Tigray, and is one of the most impressive. Travellers bussing through Wukro are advised to visit it, even if they visit no other (see the ‘Churches’ section in Tigray). One of Tigre’s most interesting features is a proliferation of rock-hewn churches, the bulk of which either lay along the main road between Adigrat and Mekele or else can be easily visited from it. The most numerous cluster of churches, a group of about 30, is carved into the rocky faces of the mountains in the Gerhalta region. There are also at least ten rock-hewn churches that can be visited by public transport or as a short walk from the main Adigrat-Mekele road. In 1868 the British expedition led by Napier passed through the small Tigrean village of Wukro where they were shown an astonishing church carved into a rocky outcrop. For several decades after this it was assumed by the outside world that this church was the only one of its sort in Tigre. It was not until 35 years ago that the sheer number of rock-hewn churches were discovered to exist in Tigre. Little is known about the age of the churches. However, there is a general consensus that the churches predate those at Lalibela, though few churches in Tigre are as immediately impressive as the ones in Lalibela. Nevertheless, you cannot help but feel a sense of wonder as you enter each church, not only for the craftsmanship, but also for the antiquity and the air of sanctity it has absorbed over centuries of uninterrupted use. This section follows the rock-hewn churches along the main road south from Adigrat. You can get a bus to Adigrat from Axum, Mekele or Asmara. If you’re coming from Addis then you can fly to Axum and take a bus from there. You can also take a bus from Gondar (see ‘How to get there’ in the Axum section) and then take a bus to Adigrat. The Gheralta cluster of churches can only be reached on foot or in a private vehicle, and it requires a few days to explore. Most churches can be approached in a 4×4 (which you can hire in Addis, or else fly or bus to Mekele and arrange to have your vehicle meet you there), though as they tend to be on cliffs you will always have to walk the final stretch. The churches at Sinkata, Teka Tesfai, Wukro and near Adigrat are only a short distance from the Adigrat-Mekele road. They can be approached by foot or public transport and are most likely to be of interest to visitors with time restraints or who cannot afford a private vehicle and are not geared to long hikes. The Weldu Sebagadis Modern Hotel has clean rooms with hot water at a moderate price. Around US$ 2 will get you a room with a double bed and cold shower at the Ethiopia Hotel. For pastries the Sweetcake Pastry and Bakery is recommended. If you wish to see churches that are further out than a day-trip you may have to camp or else arrange to stay in private houses. Though the official fee for entering any church in this region is relatively cheap, it seems that all churches now demand a higher fee per person – which can add up if you are visiting four or five churches in a day. Be firm and you should be able to bring the price down. In addition to the entrance fee, the priest who shows you around will normally expect a tip. The 1:50,000 maps of the region compiled by the Ethiopian Map Authority are very unreliable. More useful is the diagrammatic map in the Bradt Guide. Even if you generally prefer to travel independently there are several reasons why you should think about getting a knowledgeable guide to accompany you. Firstly, there are no reliable maps of the region. Secondly, a guide can help arrange somewhere to sleep. Thirdly, most churches are locked and if you don’t speak the language it may take some time to find the priest who has the key. Finally, the guide may be able to negotiate fees for you. You will be more certain of a experienced, knowledgeable guide if you hire one in Mekele. In order to see the interior of any of these churches properly you need a torch or a candle. A flash is essential for photography. The rock-hewn churches of Tigre are a worthy subject for a book on their own, and only some of them are mentioned here. 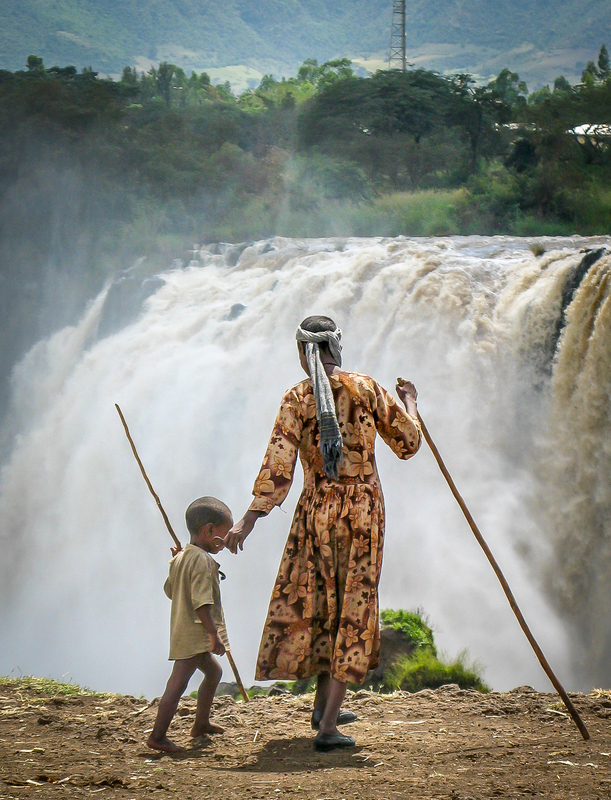 More extensive information can be found in the Ethiopia -Bradt Travel Guide. The church of Gebriel Tsilalmao lies about a 20 minute walk from the Adigrat-Wukro road. Unusual features include two windows cut in Axumite style, and a large room in the back with a pair of hermit’s caves in its wall. Sinkata. Sinkata is a quiet village of stone houses 36km south of Adigrat. There’s plenty of transport to Sinkata along the main road. About 30 minutes walk from Sinkata lies Adi Chewa Arbuta Insesa. It is a large church with several unusual features, most notably the deepest domed ceiling in any Tigrean church, and strange red and yellow stencil-like figures on thick columns. The Gheralta Cluster. The cluster of more than 35 rock-hewn churches in the Gheralta region is the largest and most important in Tigre. 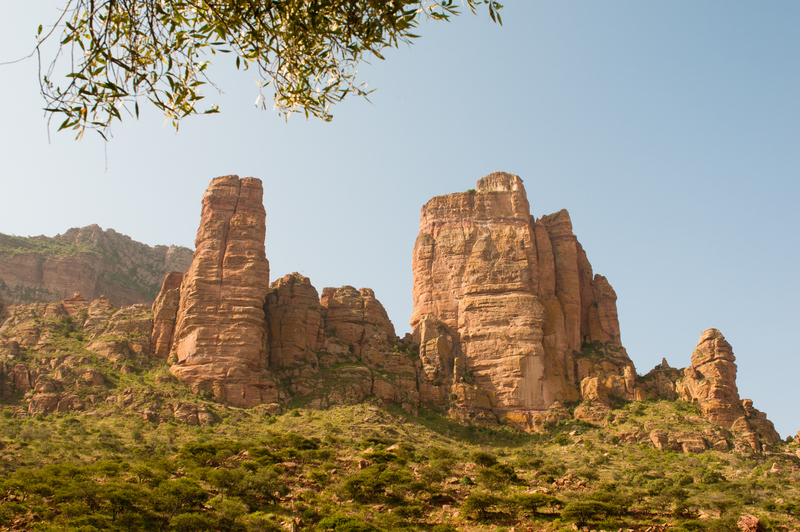 One to two hours walk south of Megab Abuna Yemata Guh is on a sheer cliff face and must be reached by clambering up hand and foot holds. 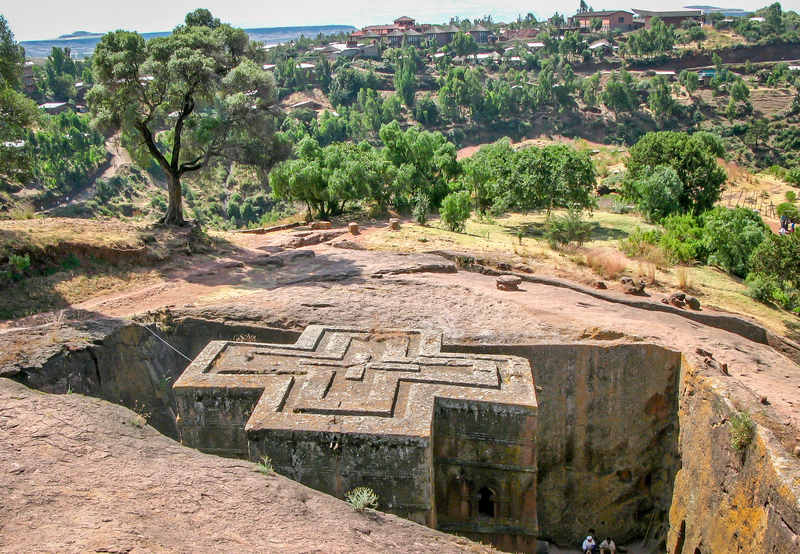 It is probably the most spectacularly situated rock-hewn church anywhere in Ethiopia. 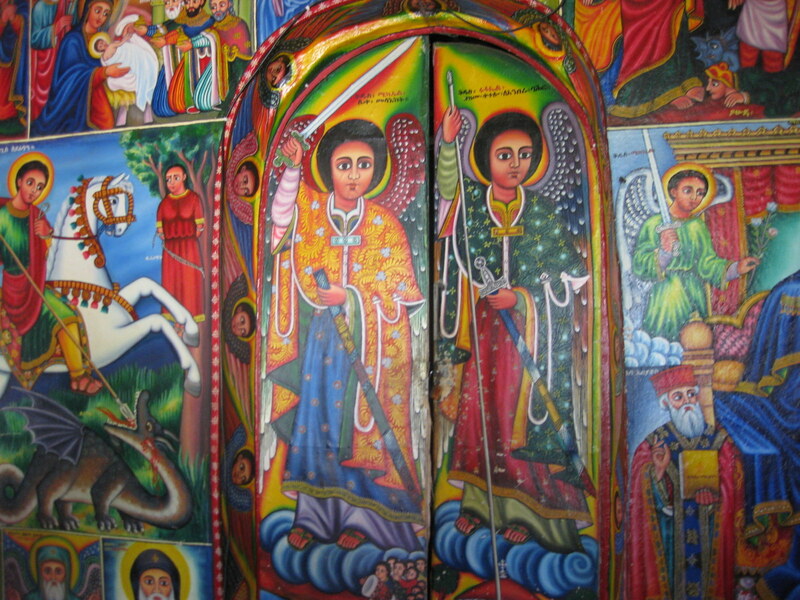 A couple of hours walk from Dugem is the Abunun Abraham Debre Tsion church which is elaborately decorated with 16th century murals. The church’s ceremonial fan dates back to the 15th century and consists of 34 parchment panels, each painted with a figure of a saint. Regarded by many experts as the finest church in Tigre, Abreha we Atsbeha lies about halfway between Dugem and Wukro. It is the site of a major annual pilgrimage (14 October). The beautifully carved roof is supported by several decorated arches. The church’s claims to antiquity are emphasised by its many treasures, among them a prayer cross that is said to have belonged to Abba Salama, the first Bishop of Ethiopia. The Teka Tesfai cluster. This, the most accessible cluster of churches in Tigre, is sited only 2 km east of the main Adigrat-Mekele road. It is easily visited as a day trip from either Adigrat or Wukro. Of particular interest is Medhane Alem Adi Kasho, regarded as one of the oldest and most impressive churches in Tigre for its size and impressive architecture. The interior has a cathedral-like atmosphere, and its magnificent roof is dense with patterned etchings. Wukro. In Wukro you will find Wukro Chirkos, the single most accessible rock-hewn church in Tigre and is one of the most impressive. Why do we focus our work on just one country? Why is that country Ethiopia? You may also be interested to find out why we believe education is so important and why that’s our focus. You can also learn about Link Ethiopia’s approach to changing lives through education. How are we doing? You can explore our results, see our completed projects and hear from students who have benefited from our work. If you’d like to be part of this journey, get involved! You may also be interested in visiting Ethiopia as a guest on one of our tours, or on a volunteering placement. Or you may be able to get involved in another way. Thank you in advance for supporting Ethiopian education!